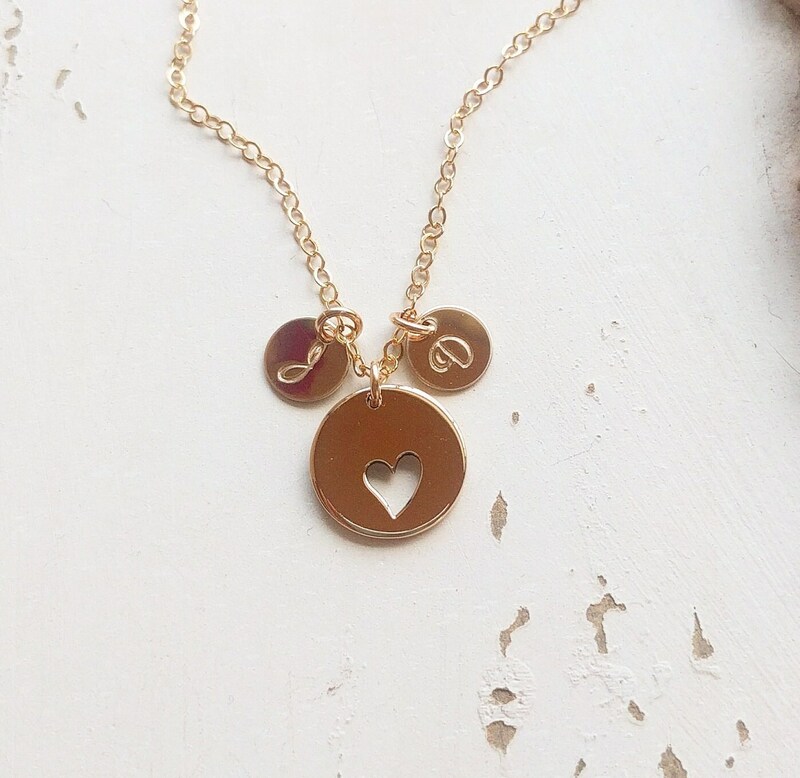 Mothers Heart & Initial Necklace, Perfect Gift for Her for Valentines Day! New Bride Gift, available in Gold Fill and Sterling Silver. ♥Shimmering flat cable chain, standard size is 18 inches as pictured. Length can be customized up to 20 inches. ♥Two 7mm gold filled discs (just over 1/4 inch each), stamped with your initial choice - uppercase script font shown. Please see the last photo for font choices! ♥Solid bronze heart focal pendant (12mm). Love, love, love my necklace(s), and multi clasp!! Really pretty and perfect for Valentine’s Day (we did our initials on one necklace and birthstones on another! Quick shipping and beautiful packaging! Thank you! I bought this as a gift and it was perfect. Thanks so much! Received quickly and it is beautiful! thank you!